Both presidential candidates, Donald Trump and Hillary Clinton are busy with their campaigns.You might already be familiar with their political views at this point, but have you taken a peek at the luxury residences in New York of the most talked about nominees? They might even sell the residence… could you afford it? Winning world famous lotteries like Powerball, Mega Millions and Lotto 6/49 could certainly help you find your own tranquil and safe environment away from the public eye and with security at the gates. 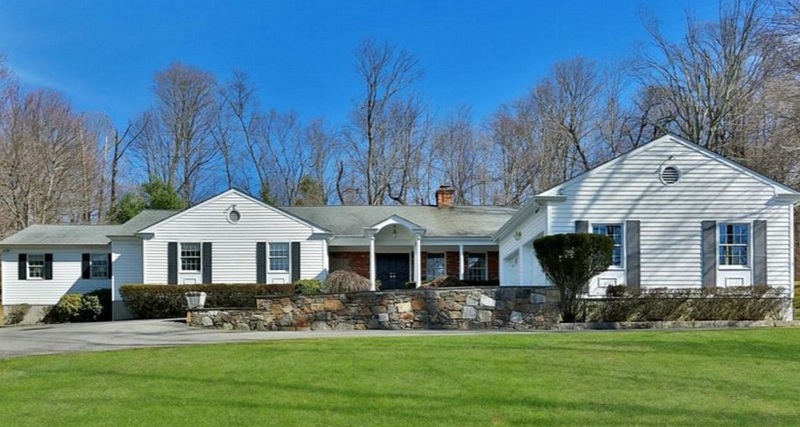 Away from the scandals and drama of the on-going campaign, Hillary Clinton can find a more restful space in her Westchester home worth $1.16 million. The three bedroom ranch is an ideal weekend retreat for visiting Clinton’s daughter Chelsea and her husband Marc Mezvinsky as well as their children, Charlotte and Aidan. The Clintons prefer to host Thanksgiving meals to reunite with family and, according to New York Times, binge watch series like ‘The Good Wife’ and ‘Downtown Abbey’ in their spare time. 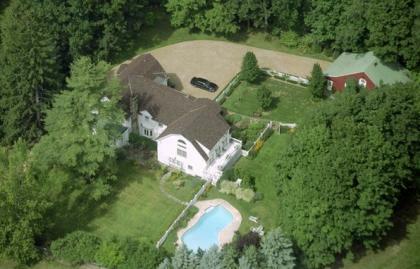 This new property is situated on the outskirts of town in a unique cul-de-sac, heavily lined with trees, next door to their mansion they have owned since 1999 in Chappaqua, New York. This property was built in 1979, set on 1.5 acre plot with a spacious in-ground pool perfect for barbeques and birthday parties. Let’s not forget the country garden for children’s recreational activities. For security reasons, this estate has a high gated entrance, to keep away the prying eyes of paparazzi. Having an open floor plan with pecan parquet flooring gives the place warm and comfortable atmosphere. The state-of-the-art kitchen opens up to a dining area where a cosy fireplace leads into the family room. 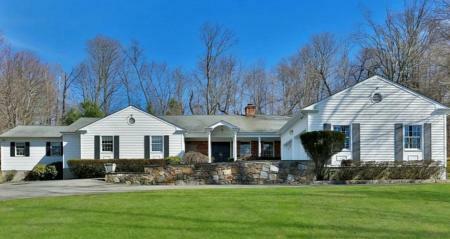 The large windows all around the property overlook the private country views. In the master bedroom, there are two spacious walk-in closets to fit Hillary’s spring and winter fashion collections. Businessman and presidential candidate Donald Trump is hoping to win the election but it won’t be easy for the billionaire to leave his grand apartment behind for the White House. 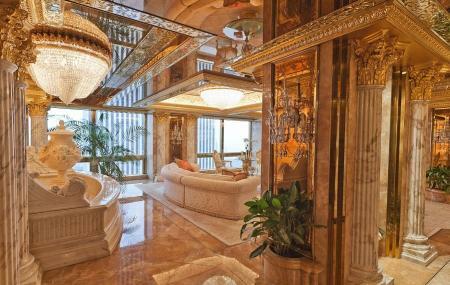 Donald Trump’s penthouse is on the sixty-sixth floor situated in the Trump Tower on Fifth Avenue. The building is an attraction in New York, being the city’s tallest glass structure since it’s completion in 1983. The tower is not only residence to the billionaire but has several retail stores and luxury offices. The high rise also comprises of elite apartments whose current tenants are Cristiano Ronaldo, the Portuguese football player, and celebrities like Bruce Willis, as well as several other public figures. The top three-floor mansion is valued at $100 million, enjoying unobstructed breath taking views of Manhattan and Central Park. Seeing the golden and diamond front door before you even enter gives a hint to the extravagance you’re about to witness inside. The whole apartment is decorated in 24k gold, from the vases to lamps and furniture. The marble walls and Corinthian columns have rococo style swirls and curls with a touch of gold on crown mouldings in every room. The elegant interiors of the deluxe were designed by Angelo Donghia who was inspired by the Palace of Versailles in France. In the seventies and eighties, he had the pleasure of working with famous clients like Ralph Lauren, Liza Minelli, Diana Ross and so many more. To add to the grandeur of the place, the furniture is inspired by eighteenth century embellishments with curves and floral motifs sculptured in the wood. These kinds of designs can be found on the edges of the chairs and sofas, in the frames of expensive wall art, on Melania’s work desk and on several tables placed around the apartment. Trump clearly has a taste for showy displays of wealth, and wanted enunciate the classical ambience by having some ceilings painted on the theme of Greek mythology. In fact, over the marble fireplace in the sitting room is a painting of Apollo, the powerful God, in a chariot led by Aurora. Among other works of art is a reproduction ‘La loge’ painted by the impressionist, Renoir, that hangs in Melania Trump’s home office. By playing lotteries and entering in a chance to win the jackpot, you could also one day afford to buy the most extravagant things you want, be it a cosy country estate, a few famous artworks, a boat, self-lacing shoes, an apartment in Trump’s famous tower…or perhaps even the White House? How much would the White House cost if it were on the market? 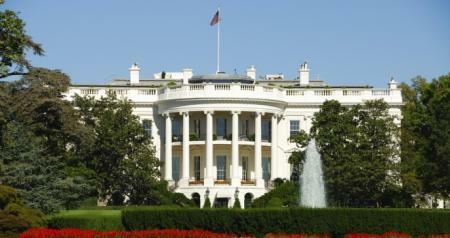 According to real estate website, Zillow, the White house would cost approximately $392.5 million. The classical building with Georgian style décor, historical artefacts and memorabilia, will probably not enter the market anytime soon, however. It is unimaginable that the monumental building will ever be sold. Republican nominee Donald Trump and Democratic candidate Hillary Clinton are in a race together for the presidential election, meaning one of them, along with their family, will become the new residents of the White House. Whoever moves in, it’s probably safe to say they’ll add some of their own luxurious touches to the place, whether it be a pantsuit or golden toilet.